How did we create the oil paintings catalogue? Between 2003 and 2012 Art UK, formerly known as the Public Catalogue Foundation, catalogued and photographed 212,000 oil paintings in public ownership in the UK from over 3,000 locations. This is the only project of its kind in the world to create a complete online catalogue of every oil painting in a national collection. The UK holds one of the largest and most diverse collections of paintings in the world, but around 80% of the paintings in public ownership are not on view. The vast majority had never been photographed before we started this project. Which public collections were included? The national collection of oil paintings includes works owned by the state and local authorities, together with those held in charitable trusts for the benefit of the public. Art UK’s approach was to be inclusive to make the database of paintings as useful as possible. Local authority and national museum collections make up the majority of the institutions represented, but also included were paintings held by universities, hospitals, town halls and libraries. We often found ourselves in unusual locations, including a lighthouse, a swimming baths and an aquarium, and even a nuclear bunker in Staffordshire, used as a council storeroom now that the Cold War threat has passed. The project includes collections held by national organisations such the National Trust, the National Trust for Scotland, Historic England, Heritage Scotland, CADW, the Government Art Collection and Arts Council England. 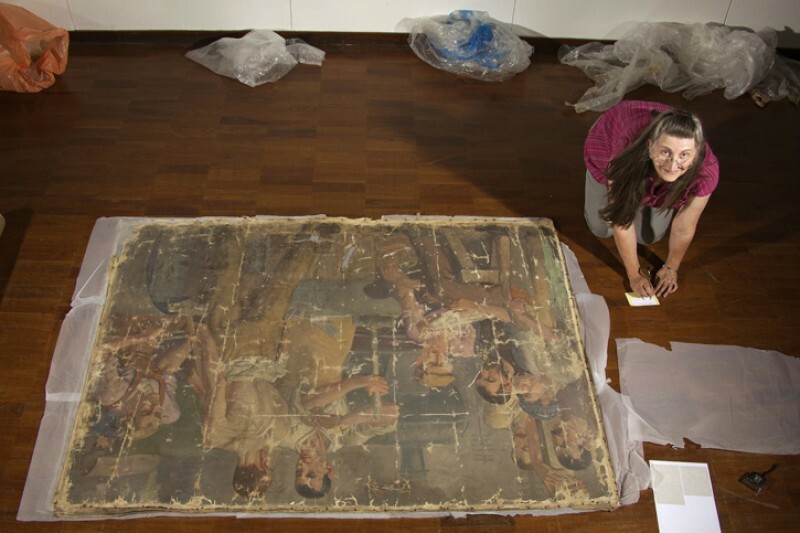 The largest collection in the project is the National Trust with 12,500 paintings. There are lots of smaller museums included too, such as Scottish Fisheries Museum, Fife, and Eyam Museum, Derbyshire. Many small organisations hold just a single picture. The collections are located throughout England, Scotland, Wales and Northern Ireland, and the crown dependencies of the Isle of Man and the Channel Islands. As Art UK’s Coordinator Manager during the last four years of the project, it was my job to manage the Coordinator team, which meant travelling to meetings and photo shoots in all corners of the UK. I worked out that I travelled the same amount of miles as it takes to circumnavigate the earth, not once, but twice. What types of paintings were catalogued? The focus of the project was oil paintings, but tempera, acrylic and mixed media, where one of these media is the main constituent, were also included. Paintings on all forms of support (e.g. canvas, panel etc.) were included as long as the support is portable. We didn’t include murals or frescoes painted straight onto a wall or ceiling. As long as paintings met these requirements, all paintings were included irrespective of their condition and perceived quality. We don’t comment on the quality or aesthetics of the paintings; we just provide the data on each work, so that others can use that information for their own research or interest. We recorded over 38,000 artists during the project. Paintings by familiar artists such as Thomas Gainsborough, Maggi Hambling and Walter Sickert sit on the website alongside works by less well-known artists, who may only have one painting in a public collection. The artist with the most paintings on Art UK is Marianne North with 1,034 works. She produced botanical and zoological paintings over 20 years, travelling across the globe, documenting the flora, fauna and culture that she encountered. North presented her works to the Royal Botanical Gardens, Kew, and provided a gallery for their display, where they still hang. How did we undertake such a huge task? The painstaking research to locate the paintings up and down the country and collate the data was carried out by over 50 Coordinators who were based in all corners of the UK. 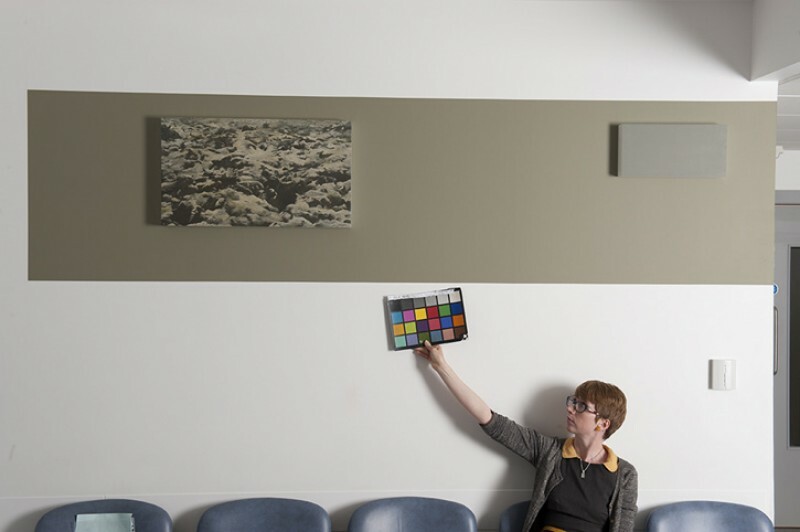 Over 30 fine art photographers have been employed to take photographs of these paintings over the life of the project. 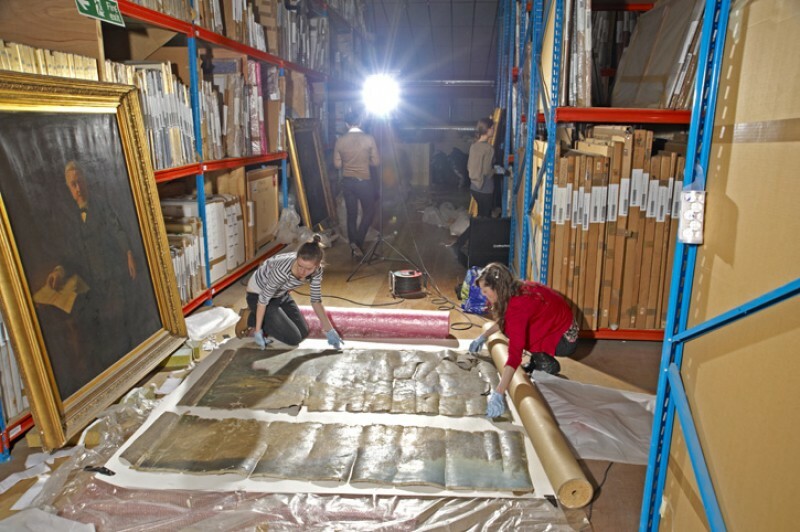 The cataloguing process started with our Coordinators, who researched the whereabouts of paintings, liaised with the people in charge of the collections and gathered the information for each painting. Each Coordinator had their own area to work on, which might be a city, a county or a whole region. Our Northern Scotland Coordinator, for example, had to cover a huge area that took in the Highlands, the Outer Hebrides, the Orkneys and the Shetland Islands. She often had to travel many miles for just a handful of paintings at a distant location, sometimes by ferry over rough seas. Researching the paintings required painstaking detective work. Through the generous guidance of local government and museum authorities, Art UK traced the art that hangs in spaces not normally accessible to the public. After that, it was down to simple legwork: contacting and visiting town halls, council offices, fire stations, hospitals, law courts and elsewhere, to ensure the cataloguing work was comprehensive. Once the painting collections were located, the Coordinators worked closely with the museums and other institutions to arrange suitable times for paintings to be photographed and share the information that they hold. Photographing oil paintings in colour to a good standard is not simple. 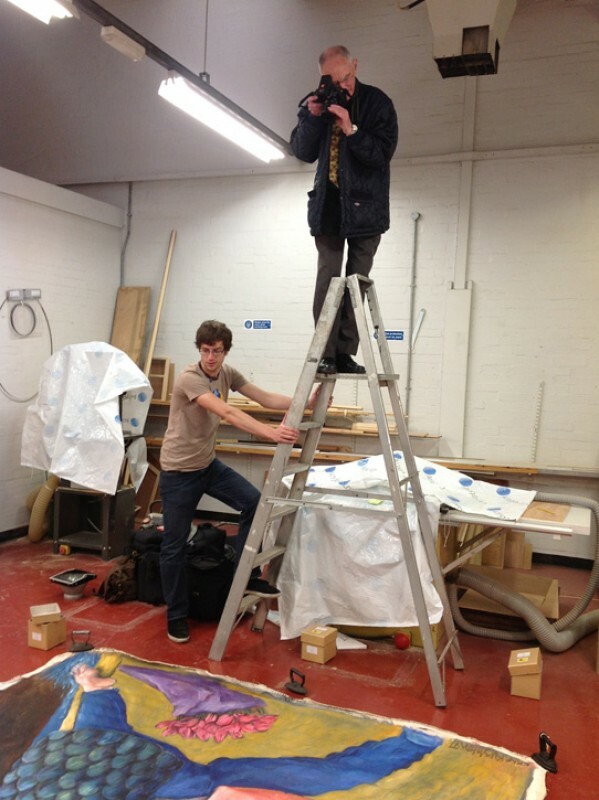 Whilst we preferred to photograph paintings in situ, in many cases this was not practicable. Many paintings are above eye level, hanging on staircases or in tight spaces, or simply stacked in storerooms. This means that in some cases the Photographers needed to use imaginative methods of shooting photographs, or, with the collection’s approval, move the paintings to temporary photographic studios nearby. The paintings were photographed glazed and framed. 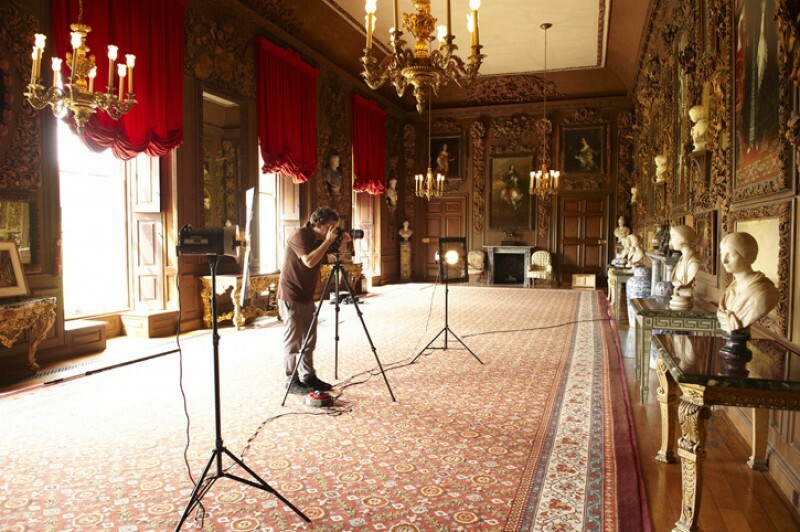 Our team of professional Photographers was very efficient and could photograph a large number of paintings in one day. We based our calculations on photographing around 70 paintings per day, but these numbers could go up or down, depending on the accessibility of the works. In return for allowing us access to their paintings, each collection was given the high resolution images of their paintings. This is something we provided for free and which would out of the reach financially for many institutions. By participating in the project, we have often helped people get their collections in order, by auditing the location of their works. The Your Paintings website, a partnership project between the BBC and the Public Catalogue Foundation (now Art UK), was launched in the summer of 2011. All 212,000 paintings were online by the end of 2012 and now form the basis of the Art UK website. The oil paintings on Art UK continue to develop. Art Detective provides the means for new discoveries about the paintings in the national collection to come to light. New acquisitions by the public collections can be added to the site to keep the catalogue up to date. Our next major project will see the digitisation of the UK’s sculpture in our public collections and in the public realm. This new project will bring its own challenges, but having completed the oil paintings project we feel ready to do it all again with sculpture.